Mahmoud’s future vision is to continue to grow as a professional and wants ACAL to continue to be the trend setter in the development of self sustainable, fully integrated green destinations. 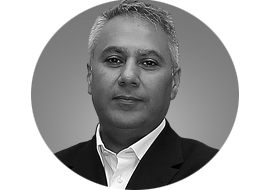 SGP Capital appointed Mahmoud the CEO of ACAL in 2004 to run its’s UAE Consultancy, ACAL Management Services LLC, after he had received his Master’s Degree in Business Administration from Columbus University in 2004. In 2009 Mahmoud was named “CFO of the Year by NASEBA. In 2015, he was inducted into Bristol Who’s Who named “Outstanding Member of the Year” and in 2016 inducted and named “Top Chief Executive Officer of the Year in Hospitality & Tourism” by the International Association of Top Professionals. Recognised for his unique ability to elevate the operational standards of large scale organisations. Evolving over an impressive 14 and half years with IHG. In 2012, he was promoted to CEO for the groups hotels Division where he was responsible for operating 31 hotels in 4 countries and 11 hotels under development within the MENA region and Western Europe. With over 27 years of professional experience in the Hospitality, Real Estate Development and Tourism industry, Mahmoud has certainly proved himself as an accomplished professional and expert in the field. Mahmoud has provided visionary leadership in the highly competitive hospitality and tourism industry.